This was such a fun project that I have ordered some fun bright fabric to make another one. This is a simple pattern that comes together very quickly. I made this one using a large fat quarter bundle of Kate Spain's Horizon line from Moda. 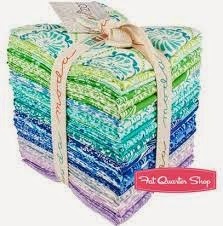 I got mine from www.fatquartershop.com. If you were using regular yardage the project would go together even quicker but I wanted the variety that the bundle provided. I cut my strips 1.5" and stitched them together using 1/4" seam allowance. If you stagger your start you will save some fabric and possibly get another triangle out of your strip. 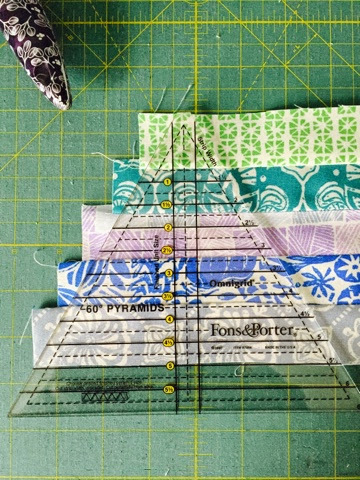 You will need a 60 degree triangle ruler like this one. Cut triangles from the strip, you will need 6 identical triangles to make a hexagon. 3 triangles make half of a hexagon, I lined up half hexagons in rows vertically and then stitched the rows together. That way I didn't have to sew set-in seams. 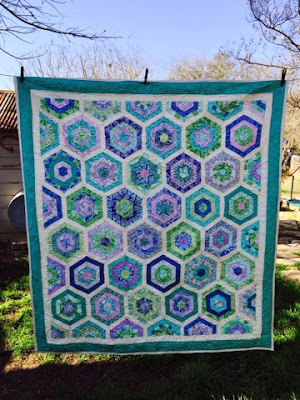 I loved the way the Horizon Hexagon quilt came out so much that I made another quilt with larger hexagons using a variety of Kaffe Fassett fabrics. 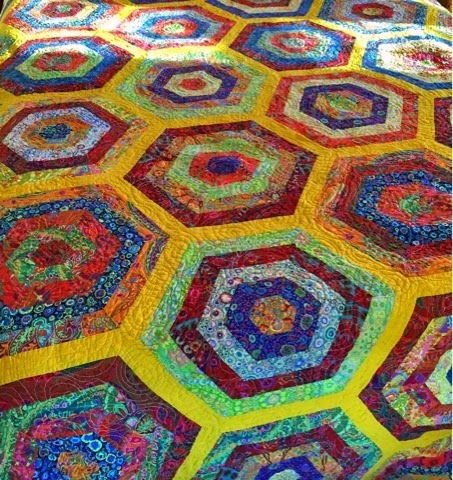 I wanted a vibrant and over the top colorful quilt and I accomplished just that in this king size quilt. 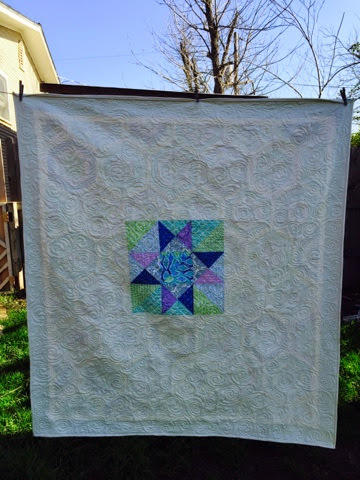 Beautiful quilt Alison, so good to see you creating quilts, in addition to all your other creative activities!